What’s it like to take up a reading challenge as an adult if you’ve never read a book before, or not since you escaped from school with a sigh of relief? The idea behind Reading Ahead is simple: pick 6 reads – which can be anything of your choice, including magazines and websites – complete a diary as you go and collect a certificate at the end. The programme is designed to help adults and young people develop a love of reading and, by doing so, develop their skills. One in six adults in England struggles with the written word (p4 of the OECD report) and public libraries have a key role to play in reaching out to them, welcoming them into a friendly space and motivating them to give reading a try. At least 10,000 adults and young people take part in Reading Ahead each year through public libraries, which link with a range of local partners such as adult learning institutions, colleges, children’s centres and trade unions to target those who will benefit most. And it works. Most libraries running Reading Ahead have been able to link it to broader outcomes, fitting it into either the Universal Reading Offer or Universal Learning Offer or both. Luton Libraries say that it has raised the profile of the library service in the town and have written it into their business plan. 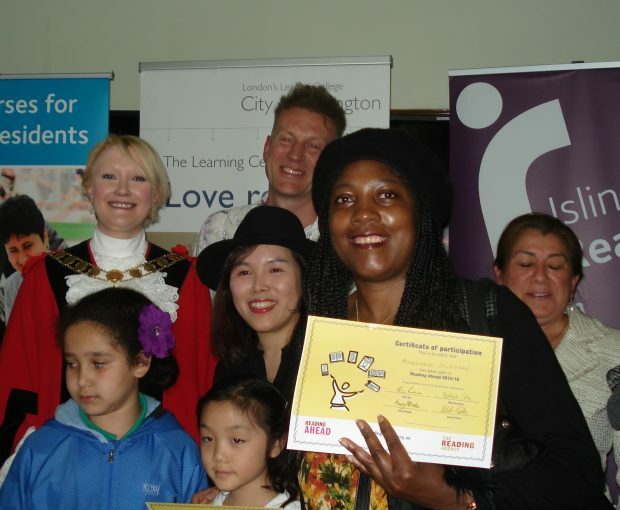 Islington Libraries link it into the Islington Reads strategy. North Lincolnshire Libraries report that the programme helped Adult and Community Learning to fulfil their Ofsted objectives. Newcastle and South Tyneside Libraries support the Bridges to Learning project run by the WEA and UNISON in the north-east. But most of all, Reading Ahead is delivering outcomes for individuals, bringing them improved literacy but also confidence, a sense of wellbeing and a new identity as a reader. 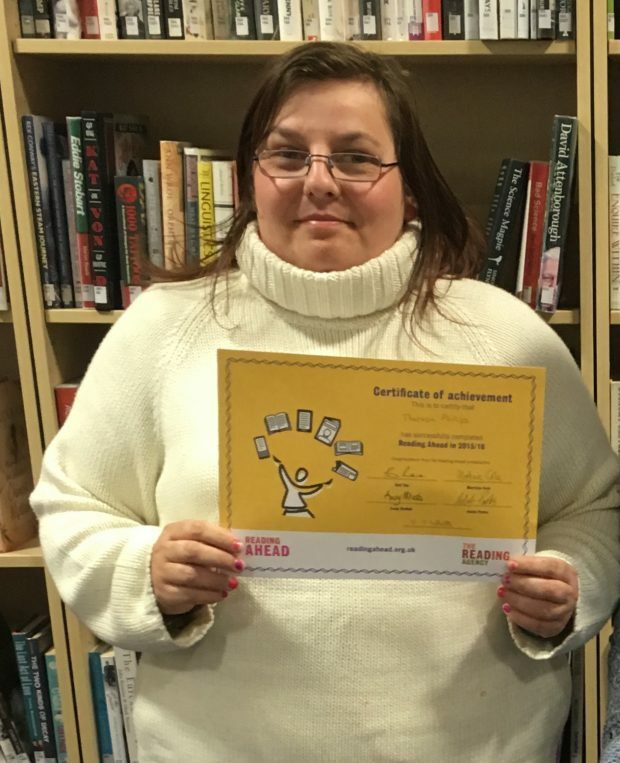 The last word goes to librarian Judith Robinson in Kirklees who has run the programme since it began ten years ago: “We have had some wonderful feedback from participants. We have also had new joiners who have become regular library users and seen some very vulnerable parents start to borrow books to read with their children.” Long live a library service that can achieve this for its community. Find out more about Reading Ahead and join in for 2016/17, which starts this autumn. 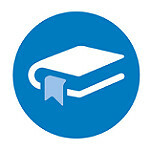 The Reading Agency runs a number of programmes for adults and young people in partnership with libraries – find out more here.